SEMENYIH, Feb 12 — Home Minister Tan Sri Muhyiddin Yassin today confirmed that he had given the green light for a recent police work trip to Istanbul, Turkey, attended by mostly senior officers and the Inspector General of Police (IGP) Tan Sri Mohamad Fuzi Harun himself. He explained the Totalisator Department of Malaysia, a body under the Ministry of Finance, had partially sponsored the trip for the men in blue. “I gave approval for the trip on the principle it was applied for by the IGP but I was not informed on who, how, or how many were going,” he said when reporters questioned about the police group travelling in business class flights as alleged by Sarawak Report (SR). “It had later come to my knowledge the Totalisator department had sponsored some costs of the trip,” he said after visiting the General Operations Forces (PGA) camp here this afternoon. 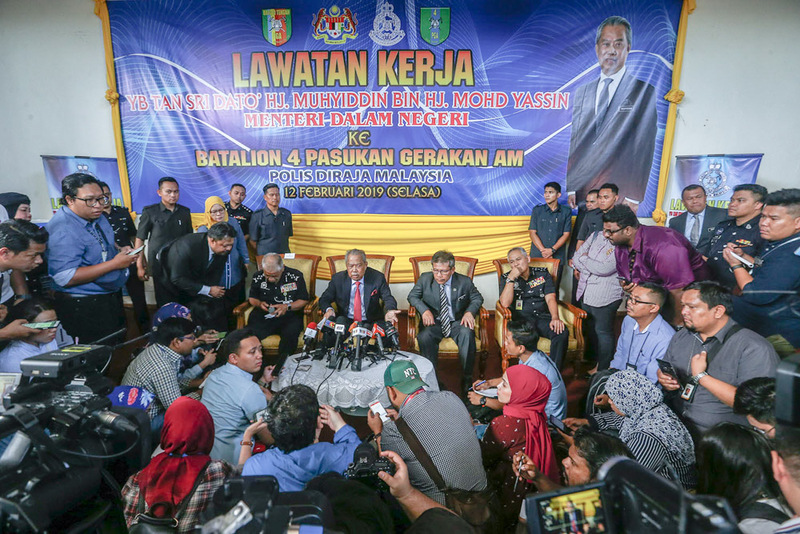 Muhyiddin explained the main of objective of the trip was for the police to gather knowledge on new illegal online gambling schemes and tactics. “I gave my approval because I felt the issue of online gambling is a problem and needs to be tackled,” he said. SR on February 10 reported at least 16 high ranking officers travelled to Istanbul for a work trip and the online news portal estimated that RM312,441 could have been spent on just business class flights and hotels for the group.